AVCHD Cybershot codec is used by Sony cameras for a long time, Sony cameras recorded videos are in AVCHD format, it’s great for recording, but sometime it is not easy to use the AVCHD videos, such as when you need to edit or play, you will find that most editing software or players can’t support this format, in this case, you will need AVCHD cybershot codec converter. 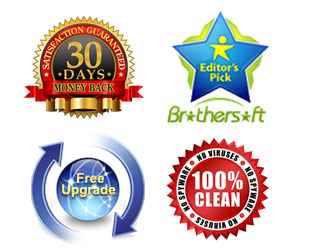 Our AVCHD Converter is top Sony AVCHD Converter, which allows you to convert Sony Cybershot AVCHD video to QuickTime MOV, Apple ProRes codec, AVI, MKV, MP4 or other formats, and then you can edit Cybershot recorded video with Final Cut Pro X, FCP 6, 7, and iMovie etc for editing on Mac OS X, or you can play the footages as you want. Step by Step to Convert Sony Cybershot AVCHD to Apple ProRes, MOV, AVI, MKV, MP4, etc. 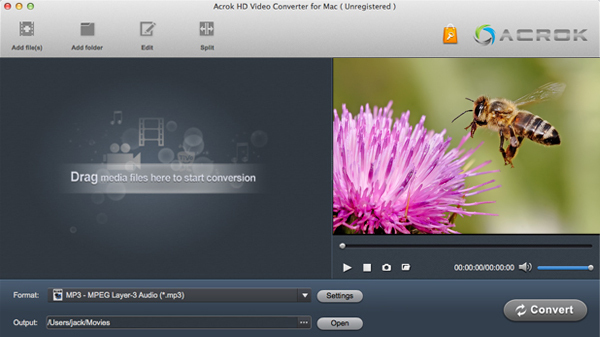 Step 1: Free download Sony Cybershot AVCHD converter for Mac or Windows on your Mac. Click the “Add” button to browse Cybershot AVCHD footage either from cam HDD or SD card. 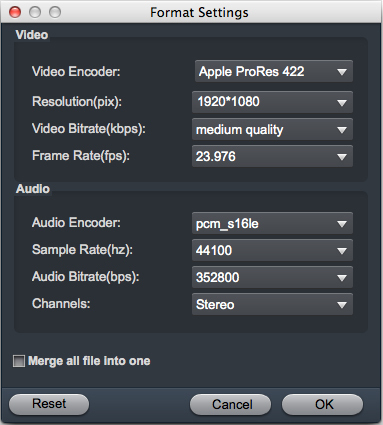 Step 2: Click on “Format” bar set an Apple ProRes format. You are advised to “Follow Final Cut Pro” template and choose “Apple ProRes 422 (*.mov)”. 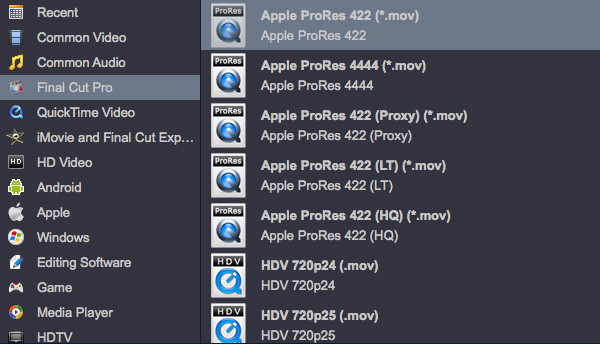 If you prefer smaller file size, choose “Apple ProRes 422 (LT) (*.mov)” instead. The “Apple ProRes 422 (Proxy) (*.mov)” format offers file size at SD levels and is recommended for 480i/p and 576i/p shootings. If you need other formats, just select as you need. Notes: Click the “Settings” button and customize proper video/ audio parameters if necessary. E.g. Set video size to 1920*1080 or set smaller bitrate to further cut down export file size. You may skip this step as well. Step 3: Click “Convert” to start converting Sony Cybershot AVCHD files to Apple ProRes 422 codec or other formats. The conversion process may take some time but it will not bother to render in FCP. After conversion just click the “Open” button to locate converted Cybershot files for FCP post-production. With this Sony Cybershot AVCHD to Apple ProRes converting tool, you can also convert Sony DSLR cameras to FCP X, or convert all other Canon video, Nikon Video, Panasonic Video.